…only more original and believable. 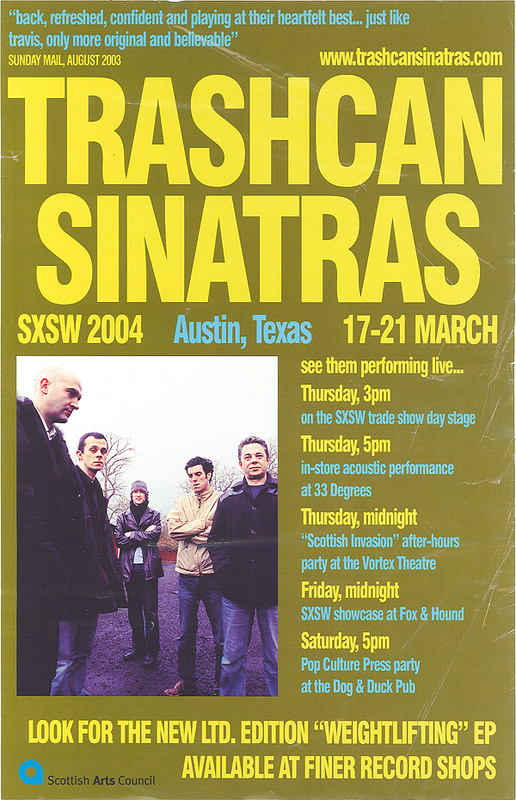 Here’s a promo poster for a series of gigs the Trashcans’ played at the 2004 South-by-Southwest festival in Austin, Texas. There’s more info on the band’s time at the festival here. Big thank you to Ben ‘Tour Manager’ Marts for sending this through.